Believe me, you could write a series of books about search engine optimization (SEO) tips that would take you months to read. I recognize that, and this article is not intended to be anything more than three quick and easy SEO tips to help you gain more readers. You’ll find much more information throughout the internet, and I encourage you to do so if you have the time. With that said, here are three quick SEO tips that you can read in one minute, and implement in two. The title of your article is the best opportunity to give your keyword the biggest bang for its buck. Make sure at least two of your keywords are in your title. Your title is given a prominent place on the internet, not only as the go-to searchable item, but it also shows up on the top of your browser. When a reader searches for your keyword, you have a much better chance for it to show up if it is in your title. So, either cater your title to the keyword, or your keyword to the title. As you can see here, I’ve broken this article down to three points and made each header bold. 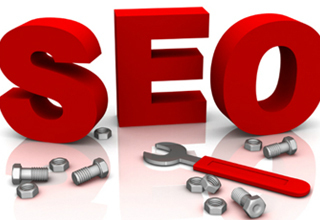 One of my keywords is SEO tip. By making it bold I’ve made it more likely to be picked up by a search engine reader. Search engines recognize that a keyword that is either bolded or italicized is more important than just a normal word, so use that to your advantage. Break your article into easy sections and give each section a bolded header which includes one of your keywords. Now that is an easy SEO tip! I’m not saying that you need to spend all your time promoting your work. If you’ve written a good article, you’ll probably get a following. But, a quick SEO tip is to get yourself a few backlinks to your article from a source that has more traffic. These backlinks will help your article place higher. Don’t spam every blog out there, but if you’re a reader in a relevant forum, slip in a link to your article every once in awhile. If you wrote a review of something, put a link from a different article about that product. If you have a blog, why not place a link from your blog to your article? As you may know, I link every one of my articles from my blog. Now, my blog isn’t very pretty, but my goal isn’t for it to be pretty. I’m just trying to quickly and easily promote my work. Obviously there are many, many more things you can do to promote readers to your article. However, these three quick and easy SEO tips will start you in the right direction. By being keyword friendly, setting your headers apart, and acquiring links back to your article, you’ll definitely help yourself pick up new readers.